A group of Brit geeks has hit Kickstarter with the R-Kade Zero - a diminutive piece of gaming kit based on the Raspberry Pi Zero. For a pledge of £15 you can enjoy a self-assembly kit without Pi Zero, or if you can't be arsed with faffing about, £38 secures an assembled unit complete with fruity minicomputer. According to DTronixs, there are plenty of video gaming emulators out there to run on the Pi, or why not programme your own entertainment in Scratch or Python. 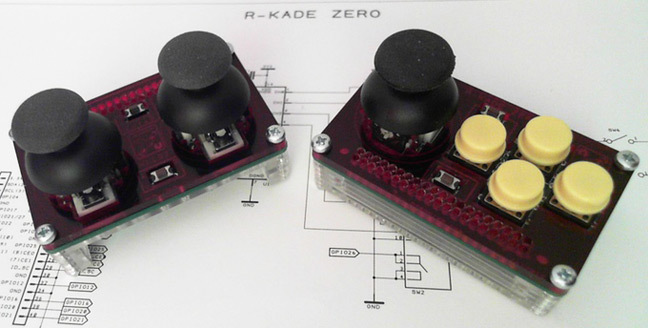 There's tech background on the R-Kade Zero down at Hackaday. 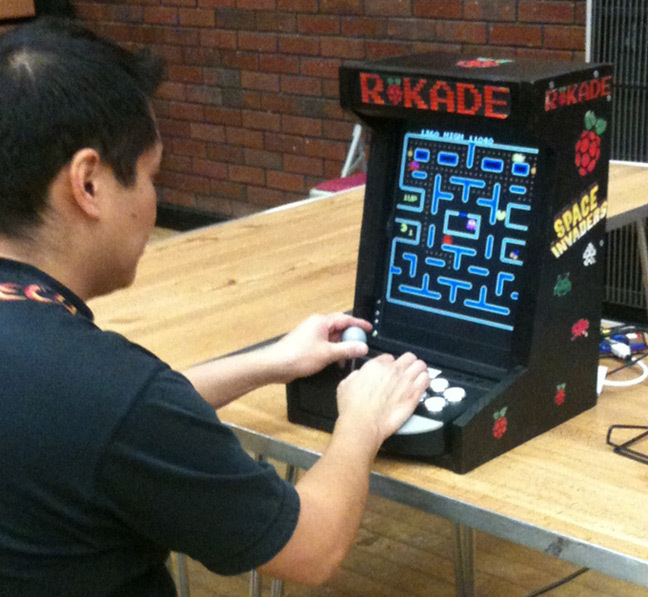 It was born of the original R-Kade, which has been delighting crowds at the Maker Faire UK since 2013. As you can see, it's a shrunken arcade cabinet, but "still a heavy and bulky thing to carry (more like lug) around".